My maternal grandfather, William Henry (Harry) Sowerby, was born on the 3rd of October 1894 in Workington, Cumberland and died on 29th June 1932 in a mining accident at Markham No.2 Colliery, Chesterfield. He was 37 years old. Harry was born into a typical industrial working class family background in the late Victorian era. His father, Walter Sowerby worked in the steel industry in the Workington/ Carlisle area all his life and died at the even younger age of 32. Harry had a sister, 2 brothers and a half-brother. The Sowerby line can be accurately traced in the Carlisle area for 4 further generations back to the mid-18th century. Previous generations include labourers, shopkeepers, butchers and a cattle dealer. The latter, Joseph Sowerby, also being an alderman of Carlisle and a prominent member of the committee of Carlisle racecourse. Although born in Workington, the 1911 census finds Harry and his family in Chesterfield, his widowed mother having re-married and Harry listed as a 16 year-old iron worker (his stepfather also working as a furnace man). Both Harry’s father and stepfather were born in the Carlisle area but his mother Ann Mason was born in Chesterfield. Ann’s father, Rowland Mason, was born in Darley Dale in 1851 and worked for steel manufacturers Wilson Camel, who built a large steelworks in Dronfield to service the recently arrived railways. However after a 10 year period the plant was transferred to Workington and Ann’s family followed the work. The firm encouraged their workforce to move with the plant and even built houses locally for the “Dronners”. Fate therefore dealt its hand and Ann married Walter Sowerby in 1892 providing the link from Cumberland to North East Derbyshire for the Sowerby clan. Ann returned to the Chesterfield area circa 1911. On 11th March 1916 Harry, aged 21, married Elizabeth Staton at the Congregational Chapel on Whittington Moor, Chesterfield by which time Harry’s occupation was recorded as coal miner. Elizabeth Staton came originally from Mosborough near Sheffield and she was one of 16 children, 10 of whom survived infancy. Most of her siblings worked in the usual occupations for the time and area, miners, iron workers and draymen. However, her older brother John was adopted in infancy by his aunt (presumably for practical/economic reasons) who had married into the Clayton family, prominent in the area as mineral water/ginger ale manufacturers and distributors. 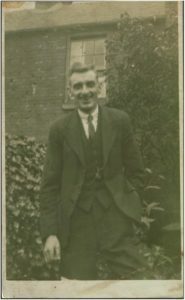 John subsequently became part of the Clayton family concern and several of the Staton family can also be identified from the censuses as working as mineral water manufacturers and carters associated with the Claytons. In the following 16 years of marriage Harry and Elizabeth went on to have 5 children, Wilf born in 1916 who fought in North Africa in World War 2, Lily (1918), my mother Ida (1919), Winifred (1929) and Harry (1931) who was a van delivery driver for Eyres furniture store in Chesterfield. The family set up home in a small terraced house in Station Road, Whittington Moor. Station Road disappeared under the road improvements made to the area in the 1970’s. Harry was a face worker and had worked at Markham Colliery for 17 years. He was described by the colliery management as “one of their best miners”. On the 29th June 1932, he was working alone in the Doe Lea district of the pit about 10 yards from the gate end when, about 1.30pm, a fall was heard. Fellow workmen rushed to the scene to find Harry partially buried beneath around 2 tons of side which had fallen from a height of about 3 feet. He died shortly after being admitted to hospital, the cause of death being recorded as shock, lacerations, a collapsed left lung and compound fracture of the ribs. The inquest decided that all due safety procedures and proper working practices had been observed and that there was nothing to suggest that there had been any negligence on the part of the deceased who was an experienced miner. A verdict of accidental death was therefore recorded and sympathy expressed to the widow and her 5 children. Harry was buried at Old Whittington church. My mother recalled seeing him in his open coffin in his best suit holding a bunch of sweet peas, his favourite flowers and that the hearse was drawn by a team of black horses with feathered plumes. As well as family and friends, 25 of his fellow miners which included 6 bearers attended. Flowers were sent by family and friends but also quite poignantly, by “Riders of the Sheepbridge and Brimington Corporation Bus”, which presumably was how he got to work each day. 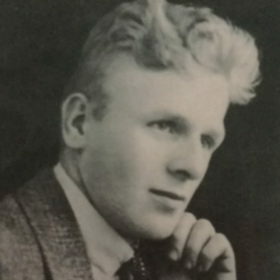 The hardship suffered by his family after Harry’s death can only be imagined particularly as it fell at the beginning of the 1930’s depression era. Eldest child Wilf was 16 and the youngest, Harry only 1. As was the norm at the time, friends and family rallied round and the family stayed together at Station Road until the beginning of World War 2. Harry’s wife Elizabeth never re-married and died in 1965 aged 72 and of course Harry never saw any of his 12 grandchildren. Deaths at Markham Colliery are usually associated with the multiple loss of life from the 2 infamous “disasters” but we should not forget Harry and countless others who were killed, maimed or seriously injured in their own personal, but equally significant tragedies. Nor should we forget the impact on those left behind whose lives were changed forever and deserve to be remembered alongside their lost loved ones.